What inspires you? For me it is people, my kids, family, friends, special occasions like birthdays and holidays. It always comes back to who’s on my mind. Today I had coffee with a new friend, who seems like an old friend. She continually inspires me to be the best I can be. So today I paint for Sandy. 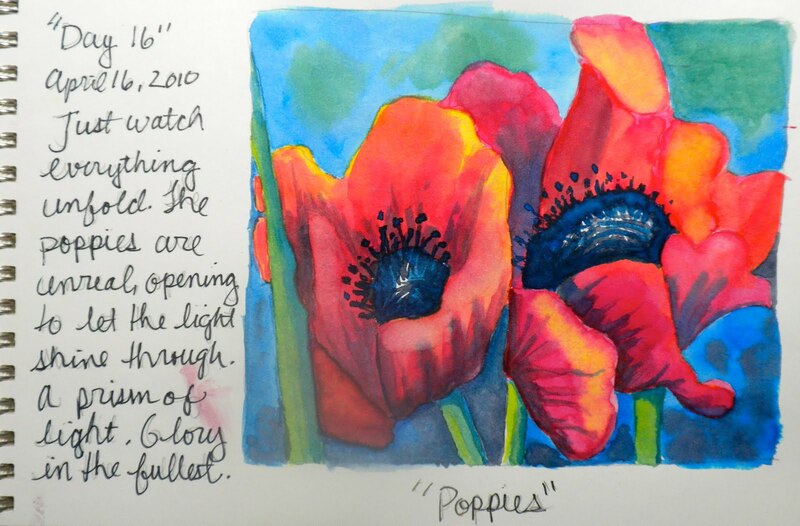 “Poppies for Sandy” Thanks for the inspiration wise friend, and the laughter. Check out Sandy’s blog and you’ll know why I like her so much. 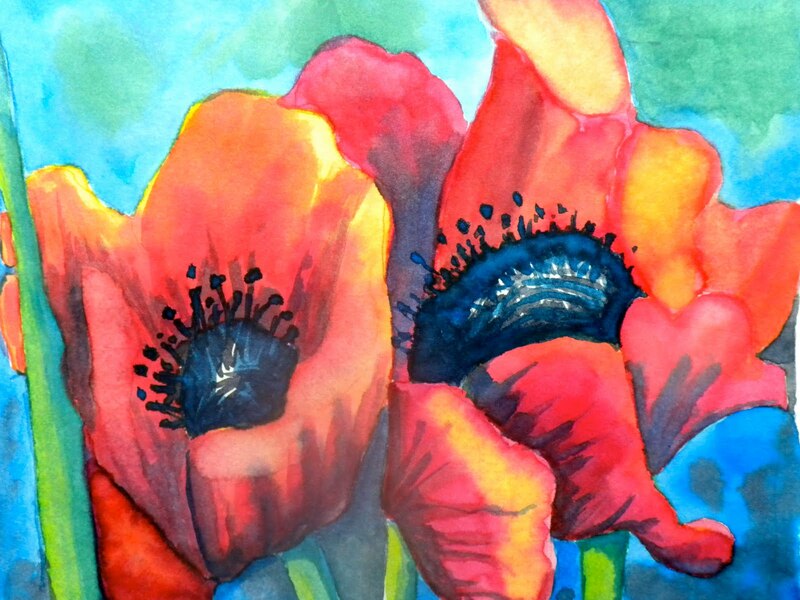 This entry was posted in Art, design, flowers. art, Garden, graphic design, International Fake Journal, mother, painting, teaching, Uncategorized, watercolor. Bookmark the permalink. Raspberry Cheesecake usually "inspires" me. I love this "alter ego" journal. I have a talented little 9 year old budding artist. We do nature study as part of our homeschooling. This is really how I would love for her journal to end up. I think she would love watercolor painting, but alas, her teacher(me) is not much of an artist.